The kids got out of school in May right before the Memorial Day weekend. We booked our reservations at Arroyo Roble Resort for the following week, which included the end of May and the first couple days of June. 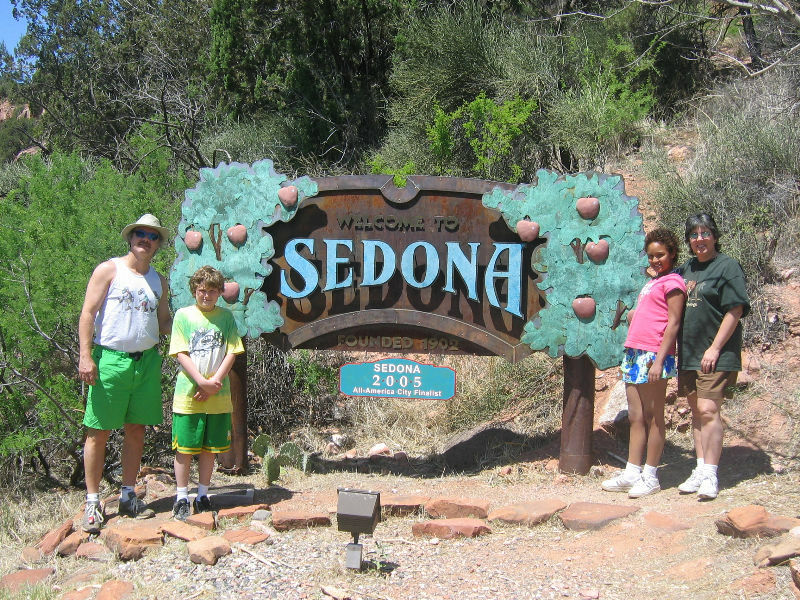 During our week in Sedona, our cousin George and wife Kathy came from prescott to stay with us for a good part of the week. 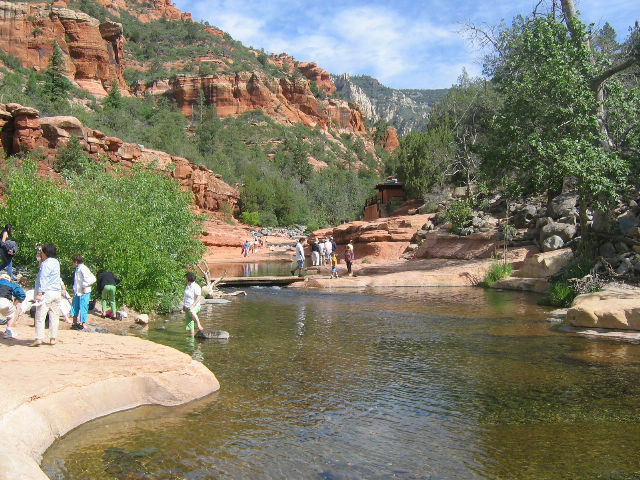 On May 28 we drove up Oak Creek Canyon to the Indian trading post and scenic lookout at the top of the canyon. Later that evening we grilled hamburgers at the resort. On May 29 we had all the relatives come over to Arroyo Roble for a potluck dinner. The attendees included a whole bunch of Hill's... (from Tucson) Greg, Pam, Karen, Dana, (from Colorado) sister Pam, (from Clarkdale) Dad, Mary Beth, (from Prescott) George and Kathy, as well as the Texas Hills. On May 30 we did some serious hiking north on Jordan Trail located north of town. The next day, May 31, we drove to Slide Rock State Park and goofed off in the creek and hiked around the area. The entire week was filled with plenty of adventure, sight-seeing, and fun with family and relatives. This week also featured a forest fire about 10 to 15 east of the village of Oak Creek. We could see the plumes of smoke rising from the fire in many of our photos. 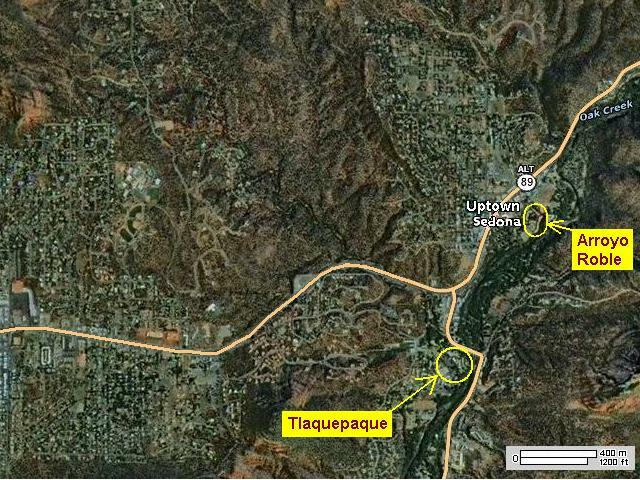 Map of where we stayed in Sedona. Aerial photo of Sedona showing location of Arroyo Roble Resort. Sedona Sign on Hwy 89A coming down from Oak Creek Canyon. 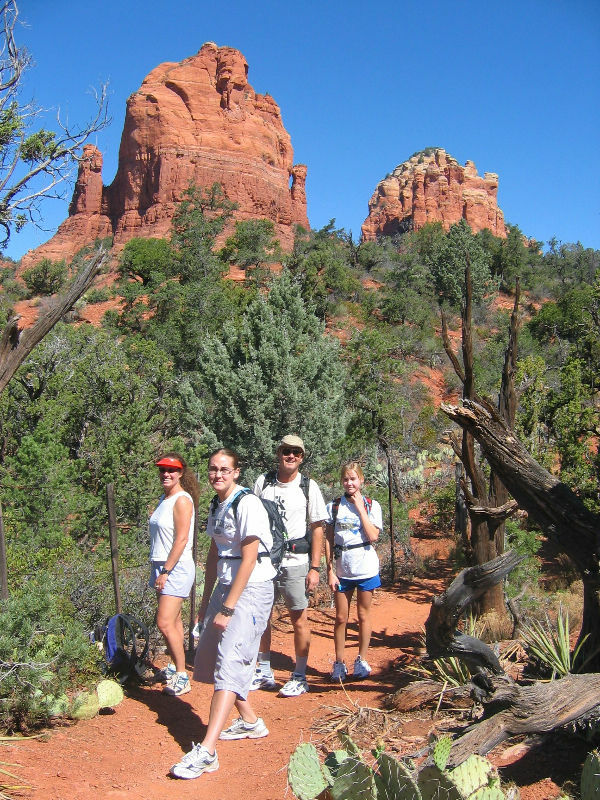 Pam, Karen, Greg, and Dana hiking the trails north of Sedona. 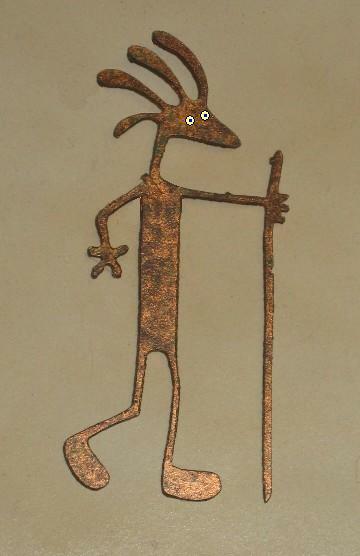 Kokopelli hiking the same trail. Slide Rock during our visit on May 31. 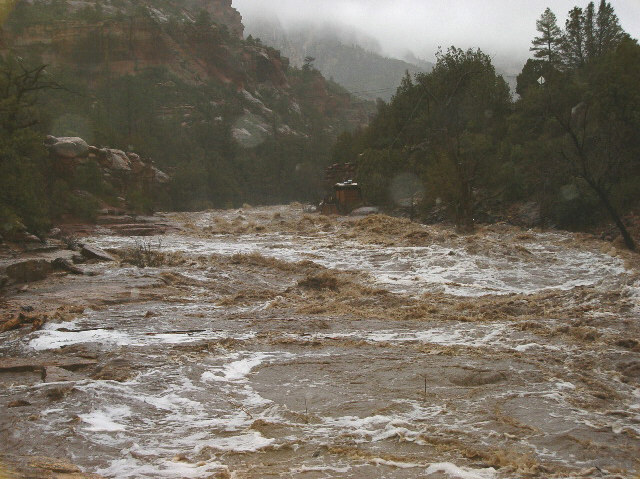 Slide Rock during flash flood on December 29, 2004.
were grouped into categories, which are linked below. 2. Arroyo Roble Resort in Uptown Sedona. 3. Dining Out in Sedona. 5. Hiking the trails north of Sedona. 6. Slide Rock State Park.